It seemed like a good idea. I run a Facebook page with over 400,000 followers, and selling a few t-shirts to make a few bucks seemed like a good thing to do. We ran a few campaigns, we sold a few t-shirts--everything seemed fine. Our fans got their t-shirts, TeeSpring made the money, but they never paid us. Their payouts page says "payouts can take up to 4 days to process". There's a little "contact support" link in the payout message, so after a week passed by, I clicked on the link and got the screen below, saying the payment support page had been moved to provide better service, with a link to the generic contact form, which gives a long list of reasons why you're contacting support, and they all look like they are geared towards the buyers, and not the sellers. So, I used the generic contact form to describe my problem. 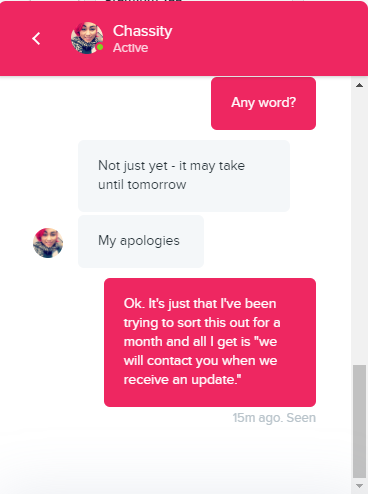 They replied that they were upgrading their computer systems, and that it would take a couple more days, and to try back then if I still hadn't received the payment. I tried this a couple more times, each time waiting a few days, as instructed. The reply email gave a seller support email, so after a few times of using the general support form, I started emailing them directly. Thus far I've received a few variations on "we are working on this site wide problem" which they have been working on for a month. Even though I took my campaigns down, they continued to sell my t-shirts, and so I continued to request more payouts. I'm now up to 4 unpaid payouts, and it's safe to say I won't be using TeeSpring any more. I think TeeSpring is an awful company. 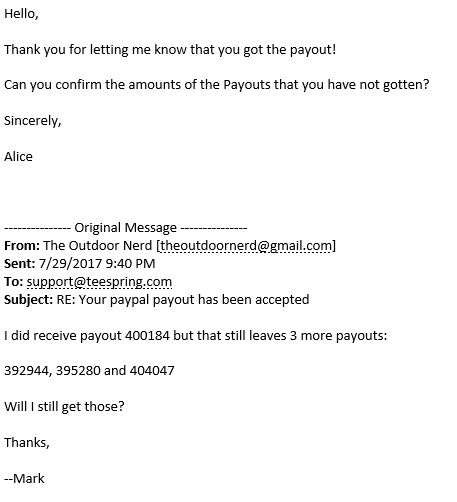 They paid 2 of the smaller payouts a few days ago. So, I waited a few days to see if they were going to pay the bigger one (and the other, smaller one), and ... nothing. I replied to one of the payout emails and got this back. They couldn't just look that up on their computer system? 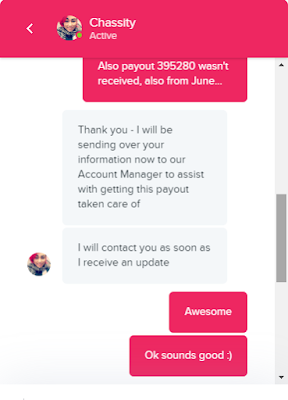 I replied with the payout numbers and amounts, but didn't receive a reply after a day. So ... I tried their live chat, with no better luck. TeeSpring finally got us the last two payouts, after a month of telling me they'd provide an update once it is available. Our first test run with TeeSpring did pretty with sales, but I don't thin it was ultimately worth the hassle. 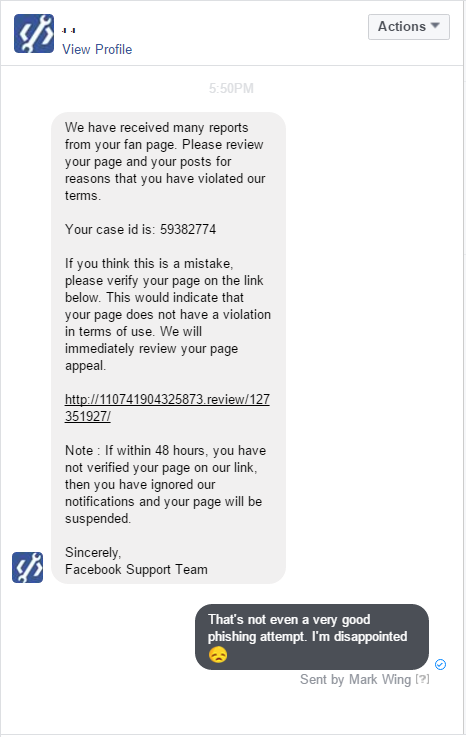 We know a couple other Facebook page owners who have experienced similar problems with TeeSpring, so we're going to stay with SunFrog for now. Legitimate sites serving up malware is nothing new. Some of the ad networks the big sites use don't scrutinize ads like they should, because money. They make lots and lots of money from ads, and sometimes these ads are malicious, like the ones I was getting from IMDB for a while. 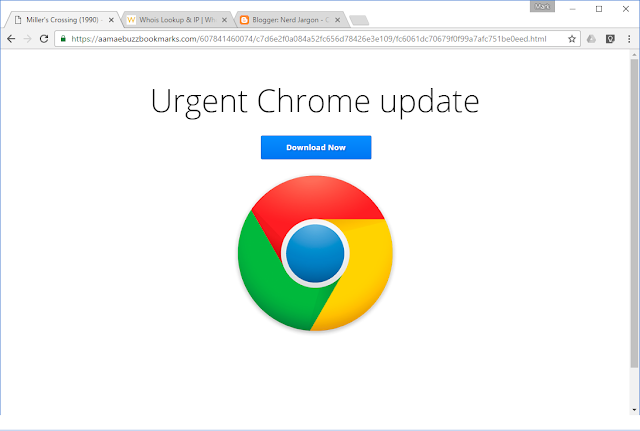 What I've been seeing a lot of lately is the "Urgent Chrome Update" where an ad on a site redirects the browser to something that looks very important for the user to click on. This one came from an article linked on George Takei's Facebook page on distractify.com, which redirected me to this page, after sitting open in my browser for about 10 minutes. Right about the time my Facebook fan page started blowing up, all the scammers came out of the woodwork. It's pretty much what you'd expect, from the "hey I wired you a bazillion dollars so make me admin and I'll give you the codez" to the "hey i luv ur page make me admin plz,"
This one was novel because it took me a couple glances to read the domain name. There's so new top level domains nowadays that you have to mentally parse the URL, which is good for all the phishing scams. The message begins with an ominous warning that your page has violated someone's terms. Here's the full URL they linked. I wouldn't advise following it. I sure didn't. A quick WHOIS search for 110741904325873.review shows it was bought from namecheap and they paid for the "whois guard" which pretty much anonymizes them. Yeah, it's pretty much a throw-away domain technically registered tomorrow haha! Scammers in different time zones for the win! Just like last time, I was looking up a movie (yeah, I watch a lot of movies) on IMDB when it redirected me to the URL below. Same "Urgent Chrome Update" message, and this time I noticed that it still says "Miller's Crossing (1990)" on the tab. The domain is new: aamaebuzzbookmarks.com and the domain registration is locked down this time, so it's hard to follow up on like the last one. 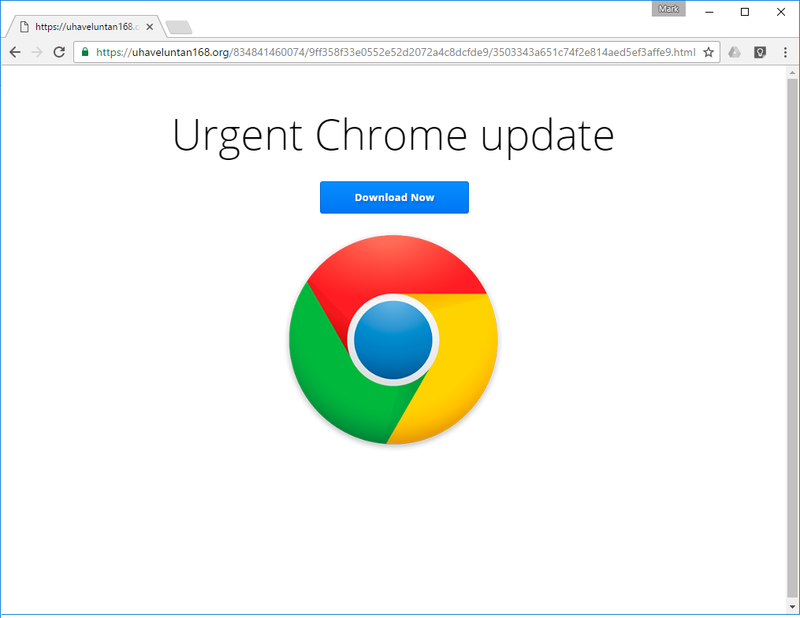 Others on Reddit have mentioned this type of malware redirect from large sites. My guess is that IMDB is still serving up infected ads. I did notice from the WHOIS record that it looks like the domain was created today. Talk about zero day malware! So, I looked on my machine for an infection--there was none--and wondered where it came from. But this time I was paying better attention. It redirected to the following URL when I was just sitting there looking at an Al Pacino movie. Exact same site, exact same screen. My guess is that IMDB is serving up a shady ad from whatever ad network they use. Doing some digging, it doesn't seem like anyone else is reporting this issue. There's no way for me to say definitively that this came from IMDB--there's lots of ways to attack a computer--but it sure looks like it! Malware scans come back clean and I haven't had any issues or anything suspicious with this Windows 10 / Chrome install. Uh, yeah, don't think I'll be clicking on this. A WHOIS search shows the domain to be registered in California. The admin contact for this domain seems to be a German encrypted email service. 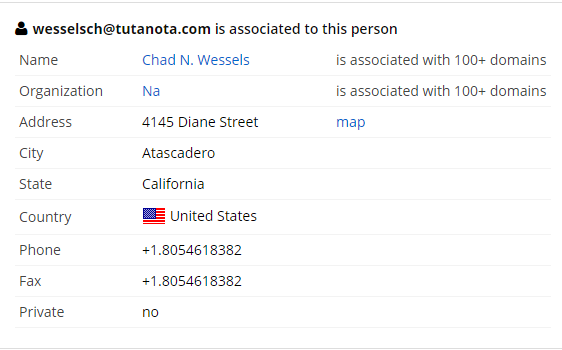 Searching the email shows this person, Chad Wessels is associated with over 100+ domains, most of which look shady to me. But there's more. The email search also links to a discussion forum post about phony Firefox updates, so it seems like good ole Chad has been quite busy. 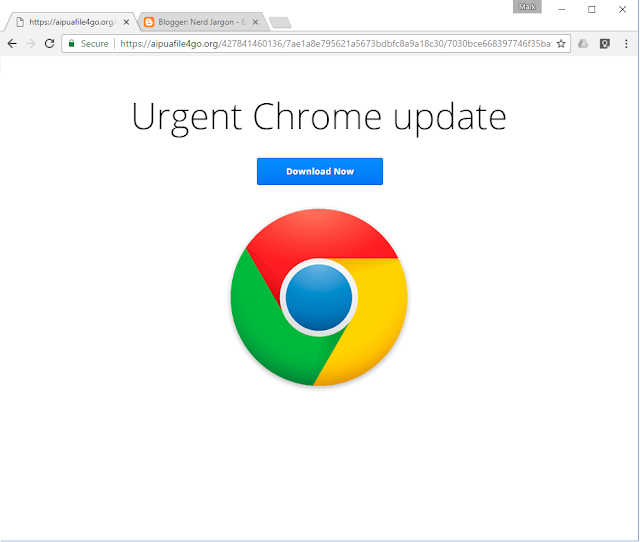 I'm a software engineer but security really isn't my specialty, so I'm interested to see how this plays out and whatever people have run into this phony Chrome update. Many laptops come with Bluetooth built-in, but it's super easy to add a cheap Bluetooth dongle to your USB port and use your computer to listen to music, or share files, which is the subject of this article. 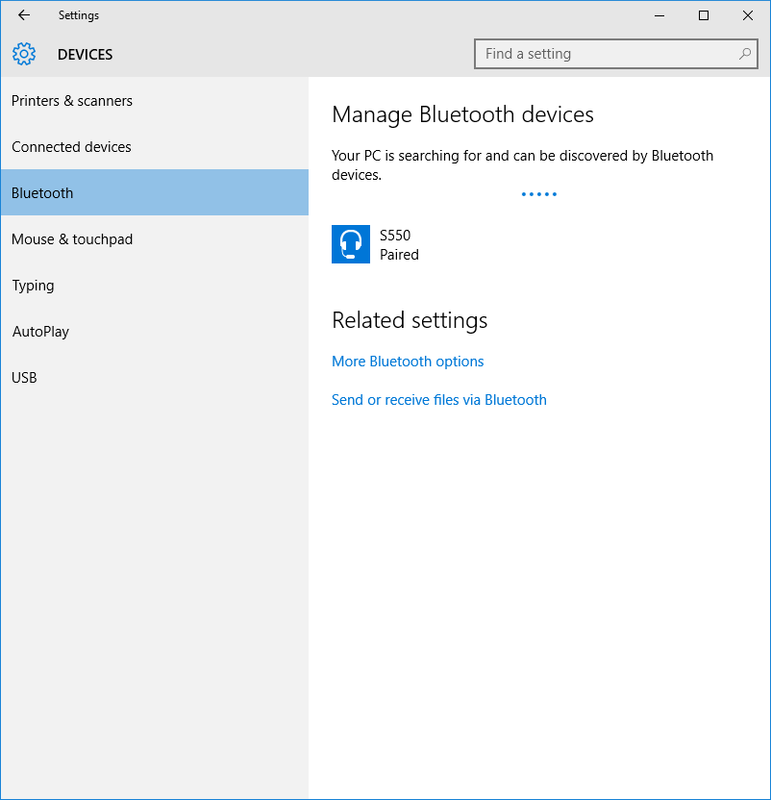 This article assumes you are using Windows 10, but I believe it would work similarly on Windows 8 or Windows 8.1, though Windows 10 is the version that finally got Bluetooth right as far as I'm concerned. Step 1 - Make sure you have a Bluetooth adapter and that it's running. Whether it's a USB dongle like the the one below, or whether Bluetooth is built into your system, you should see a little Bluetooth icon on your system tray, located on the bottom right of the screen. 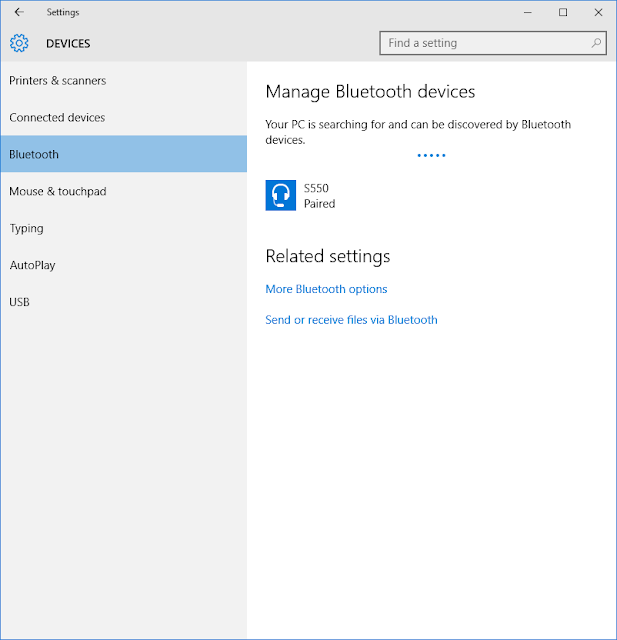 Click on the Bluetooth icon and choose "Show Bluetooth Devices" and you should see the Bluetooth settings screen similar to below. Notice I have my headphones already paired. 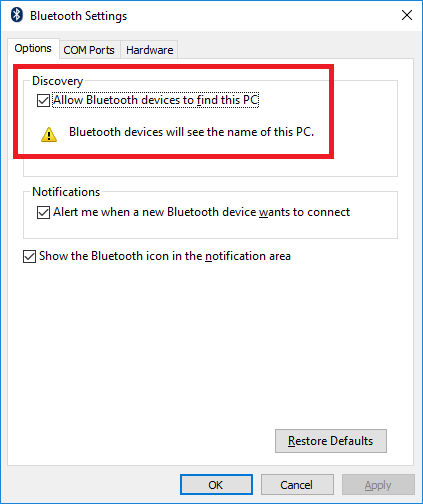 Make sure the "Allow Bluetooth devices to find this PC" is checked and then press the OK button. 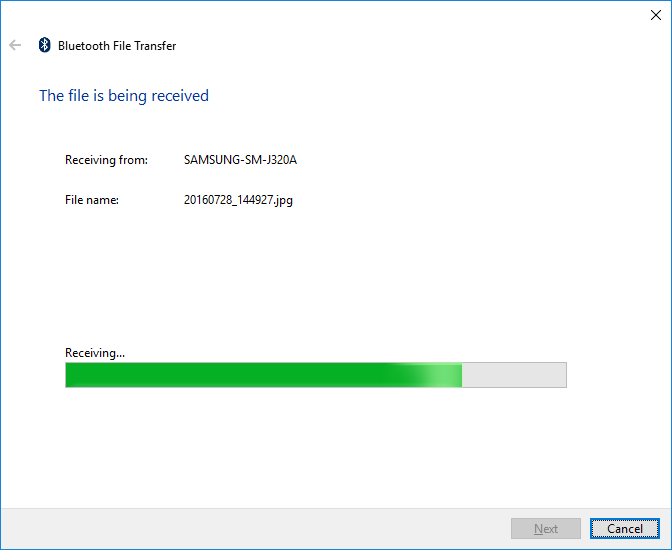 For this example, I will be receiving files to my PC sent from my Android 6 (Marshmallow) phone, which is probably the most common usage. At this point, Windows will wait for an incoming connection from my phone. 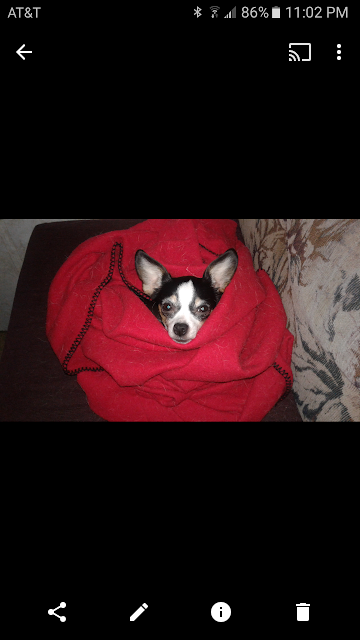 Choose some files or photos to share on your phone, such as a photo of a cute little dog, like my Zoey. 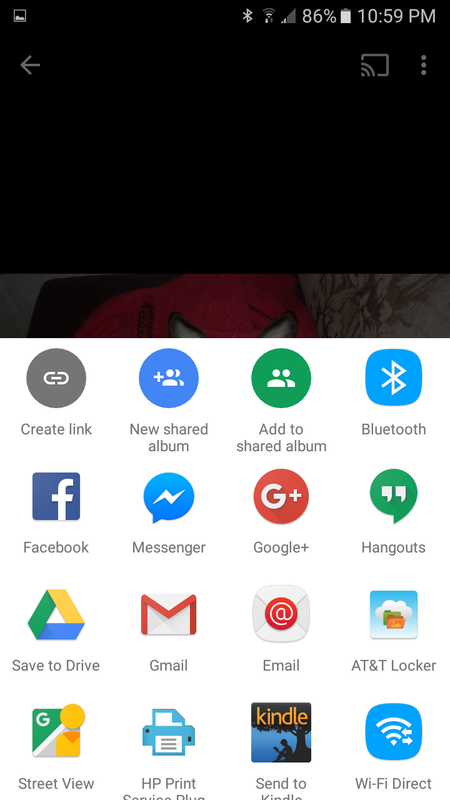 Pressing the little share icon in the lower right hand corner, I get a list of a whole bunch of ways I can share this photo. 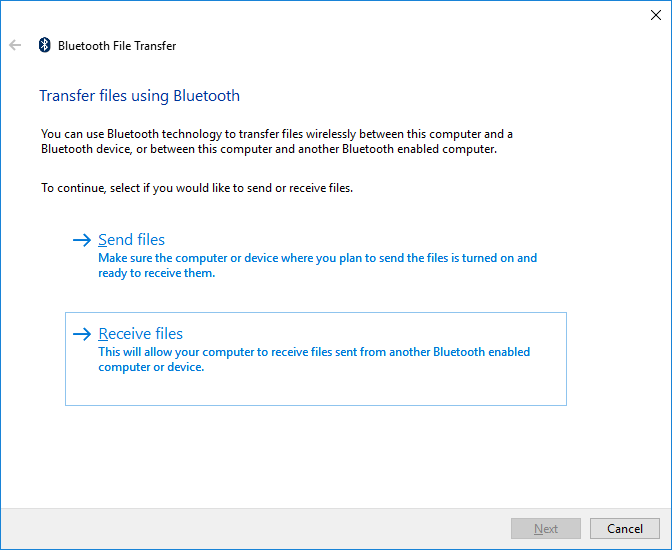 For this example, you'll want to click the Bluetooth icon. You should then see your PC on the list of devices to share with. 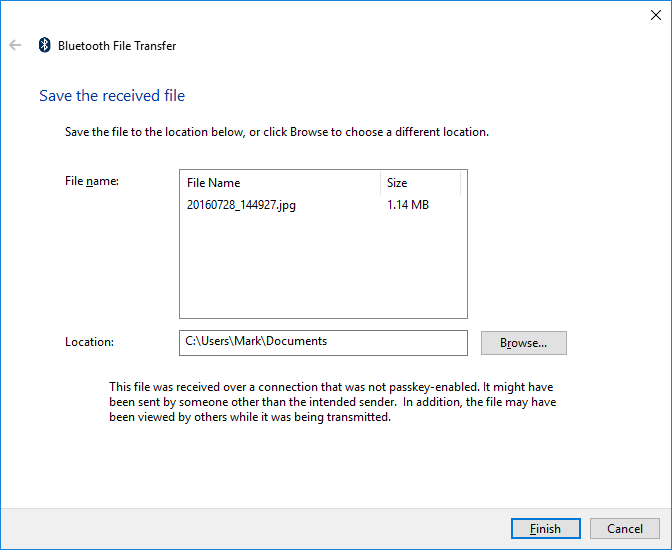 In this example, only my PC shows up on the list, clicking on the device name will start the process of sending the files, but you still have to go back to your PC to receive them. My photo of Zoey is now on my PC! Notice I could put the file(s) somewhere else, but I just clicked the Finish button and put the file in my Documents folder. In a letter to its employees, Disney recently asked its employees to help corrupt politicians through the millions of dollars it spends on lobbying. Apparently that's not enough, because they are asking their employees to take payroll deductions to help fund DisneyPac, the IP protectionist Super PAC long known for getting laws favoring Disney literally rubber stamped. The letter, according to Ars Technica, brags about getting the TPP treaty passed, among other things. The TPP for people who haven't heard of it, is an awful trade agreement which was negotiated in complete secrecy, lest anyone find out how bad it was, and quietly ratified by its member countries before anyone realized what was going on. A few years back when ICE (yes, the immigration service) launched a campaign to stamp out file sharing sites (which it failed at,) it kicked everything off from Disney headquarters just to show everyone how corrupt our political system is. So, if you work for Disney, they'd sure appreciate if you'd feed their political machine, which for some reason reminds me of this episode of South Park, where Mickey Mouse beats up the Jonas Brothers! Technology isn't just a job to me. It's been a lifelong hobby and sometime obsession. I'm also an outdoor enthusiast, and I enjoy combining the two. Copyright (c) 2012 by Mark Wing. Awesome Inc. theme. Powered by Blogger.